Sometimes love at first sight happens – sometimes the reality does not match that first sight. Well I experienced something today that brought such things to mind. 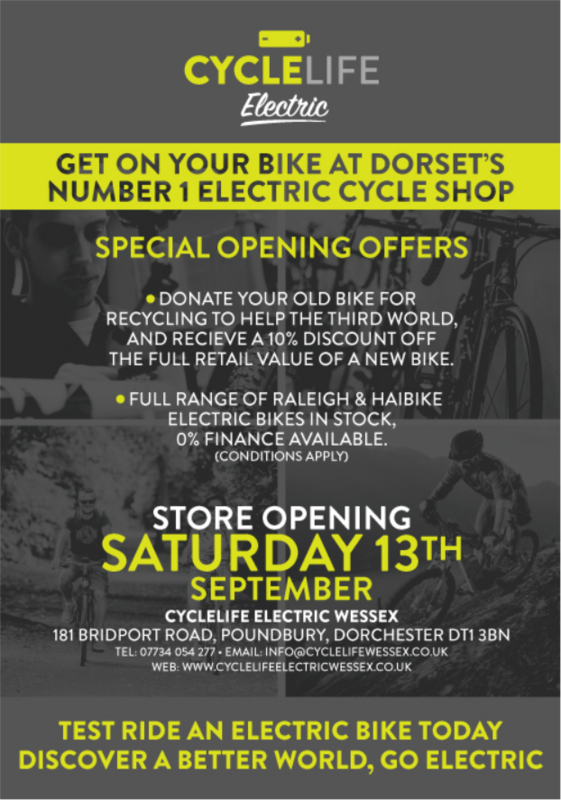 I`d gone, with a Dorset Energized colleague (Keith Wheaton-Green) to visit the Dorset Ebike Centre. Keith has been getting Ebike curious and wanted to try one and learn more & also we wanted to talk to the Ebike Centre owner Peter Claxton about him bringing along some Ebikes to a charity cycle ride day in Hazelbury Bryan on the 1st of June (more on that soon). Peter saw me looking at the bike, and broke off from talking to Keith to say it had just arrived and what a dream it was to ride. Brand new, just out of the box, I didn`t dare ask if I could sit on it leave alone take it for a proper ride – but Peter said do you want to take it for a spin. There was no chance I would say no – so I didn`t. After a bit more chatting, with Keith learning some more about Ebikes, me and him went of for a ride – me on the Haibike Xduro FS and Keith on a Riese & Muller Ebike. Let`s put it this way – it was love at first sight (with the Haibike) confirmed in the first few minutes of the ride. I was meant to be advising Keith – but my answers to his (sensible) questions were from someone a little distracted by the sheer joy of riding that bike. Yes it has an electric motor (I`m used to that) – but it doesn`t ride like an Ebike at all. 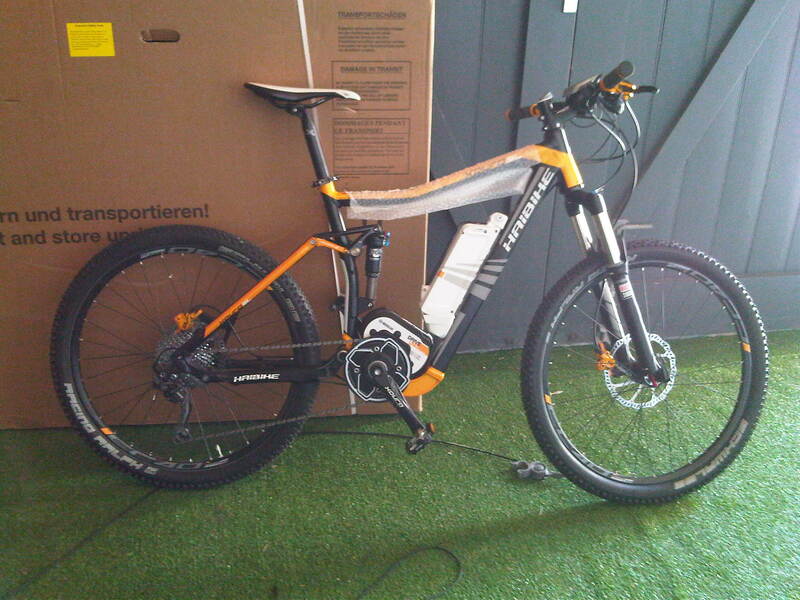 Once you`re moving it was as if I was riding a top end Mountain Bike and had the strength and fitness to make the most of such a bike (which I don`t – but the Bosch motor makes up the difference). With no discernible lag in the power supply from the motor and with no evidence, once underway, of this bike weighing more than a non electric bike, it was as if I was floating along the road. 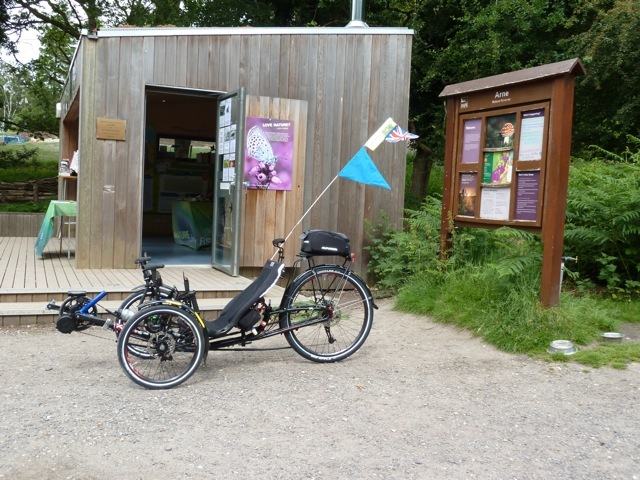 But of course this is a fully equipped mountain bike – quality suspension front and rear, high end gears, the whole shebang – so temptation overruled caution and at the first sight of a bridleway, well it had to be done, we went off road (I just hoped Peter wouldn`t mind – and phew he didn`t, it turned out). 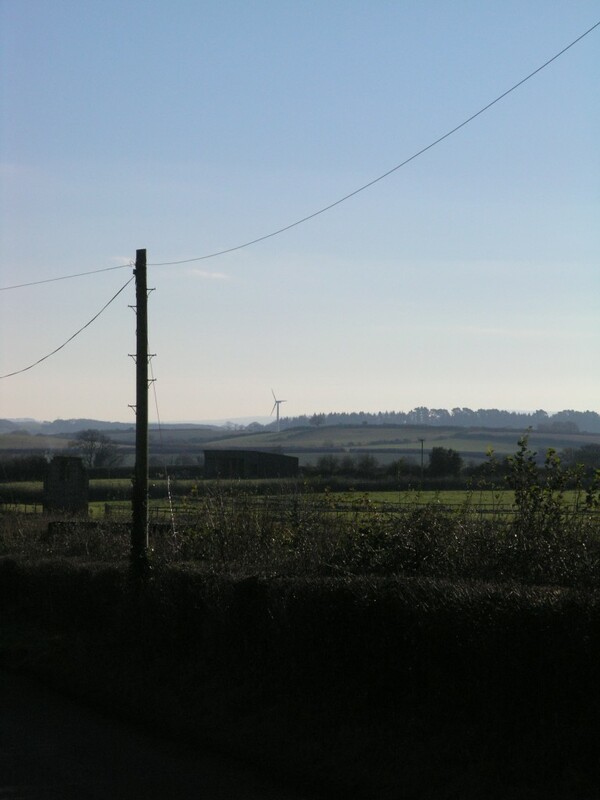 I`ve ridden a lot of bridleways on bicycles, mostly on my own ebikes – and they cope quite well with the rougher surface, the motor providing the power to keep you going in the tricky bits. 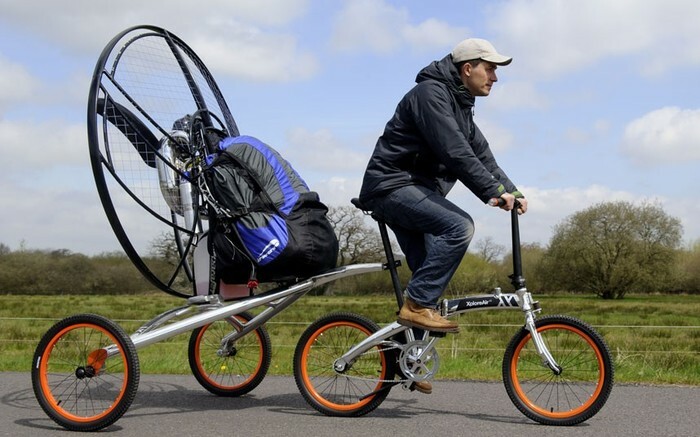 But this Haibike was doing more than coping – it was thriving, this was its element. Love blossomed further. Eventually we had to turn around and return to the showroom – though another detour was called for, just to extend the fun. But back we got – and I have to admit, I gushed rather, virtues of the Haibike, extolling (it had to be done, truly). 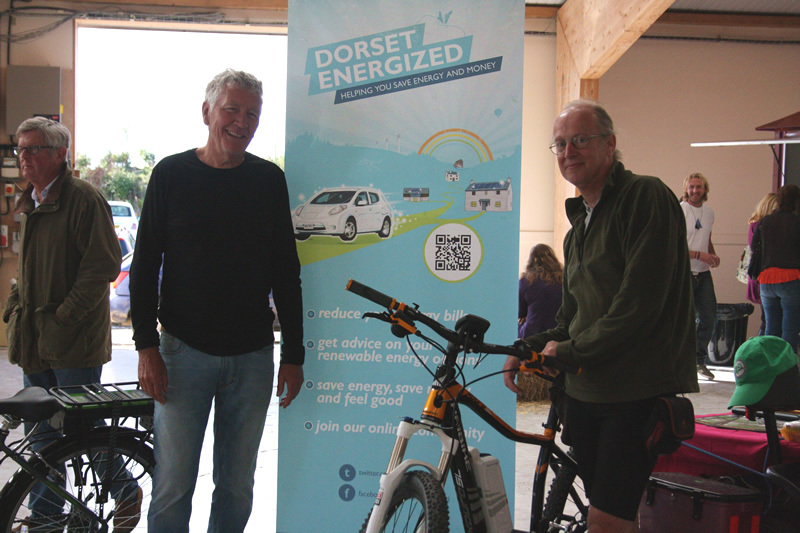 Keith – returning to why we`d gone to the Dorset Ebike Centre – was rather impressed as well. He`s thinking of joining his son`s charity ride to Southern Spain and has been wondering about using an Ebike for the ride – and it might well happen. 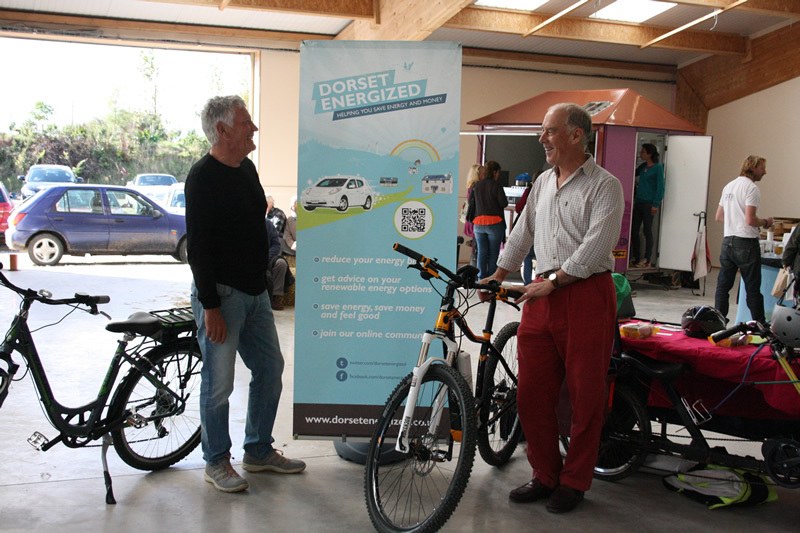 The Riese and Muller he was trying will soon be Vince Adam`s and if Keith can persuade him to lend it – well it could be on the way to Spain (carrying the Dorset Energized message). That bike, with it`s rack and practical mudguards and Nuvinci hub gear – well it would make an excellent long distance tourer, panniers on the rack and you`re away. The Haibike though – well it probably wouldn`t be much good touring, no rack (and with full suspension, difficult to fit one), no mudguards, full nobblies for tyres – really not a tourer. But, most definitely a wonderful (and proper) Mountain Bike. And hey – this Xduro FS is at the cheap end of the Haibike range (£2,850 I think Peter is selling them at) but unless you are a real expert mountain biker, then I cannot see why you would need (or be able to get the best out of), anything even more highly equipped. 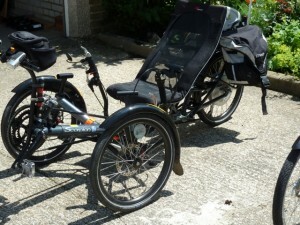 "I took a demo ride 10 miles yesterday and loved it. 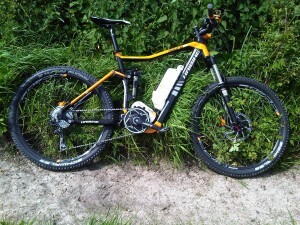 Up huge Dorset Hills with ease on this groovy bike, great fun and now decision whether to buy , happy days "
For many advocates of electric bicycles the preferred way of delivering the power of the electric motor is so it goes through the gears in the same manner as the riders own effort. To make this type of assistance possible means having the motor installed at the crank (where the front chain ring is) or between the front chain ring and the rear wheel (attached to the chain). 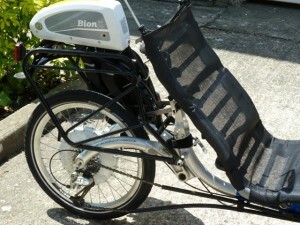 However, now a new product is available which can be installed on an ordinary non-electric bicycle (your own favourite maybe) and give the same level and manner of assistance as the excellent but expensive electric bikes built around the Bosch or the Panasonic Electric Motors – www.nationwideebikes.co.uk/gepida-ebikes for example. I must say having coming across this motor only a few days ago I am still slightly (and apologies) drooling over it – in short, I want one! 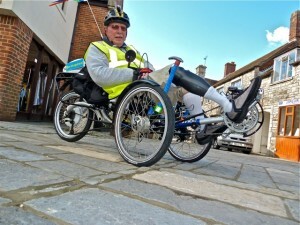 Having had dealings with Tony Castles before (and aware of the great enjoyment the Nano drive electric conversion kit for Brompton Folding Bikes, that Tony developed, has brought: www.nanoelectricbikes.co.uk). I’m sure that any product he shows his confidence in, by selling, is likely to be a good’un. And for product support – well it’s good to deal with someone who really understands the technology. 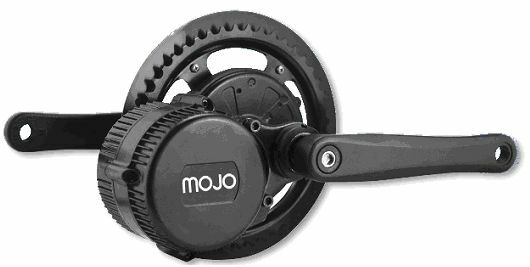 If I give in to my urge to get one of these Mojo drives (and resistance is not necessarily futile, but at least rather difficult) I’ll do a write up of my on road experiences using it. It happens to World Food Day today (16th October) and I’ve just finished reading a book called Cows Save the Planet (And Other Improbable Ways of Restoring Soil to Heal the Earth) by Judith D Schwartz, which is a fascinating book with many practical examples of how some farmers are working to bring back health to the soil (and thus create healthy plants, and interestingly helping the soil itself absorb atmospheric carbon – which improves the microbial health of the soil, assists it in retaining water and of course works to reduce the levels of atmospheric carbon dioxide emitted as a result of burning fossil fuels). Another area explored in the book is nutrient levels in food and it seems that even though modern agriculture has produced vastly increased quantities of food, much of that food (vegetables and so forth) contains much less in the way of nutrients (70% in some cases) than food grown using older and more traditional methods. One possibility put forward for the rising obesity rates is that people seek out the nutrients they need when eating, and as these nutrients are not present, they keep on eating and thus become obese. It’s as if the body has it’s own wisdom and knows it needs certain things and yet as those things (nutrients) are not there it is dissatisfied and keeps seeking (eating) – its/our natural appetite thwarted. It’s known that cats can detect by smell whether a certain food contains what they need and if it doesn’t the cat will not eat it (as many a frustrated cat owner knows – cats can be picky). Perhaps we have a similar ability – hidden, unconscious, forgotten even – but still there and working? 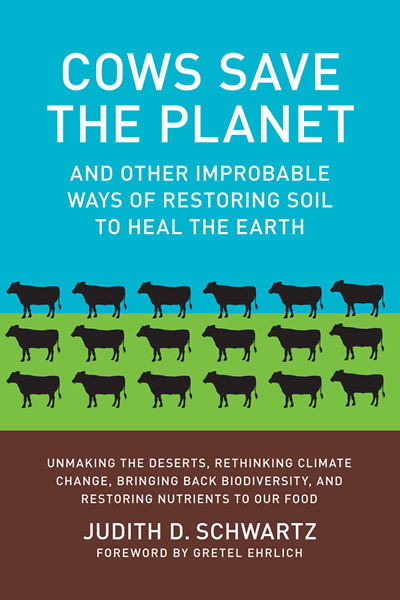 Anyway Cows Save the Planet is a book I’d recommend for anyone interested in the environment, farming, horticulture, or food and health. And as to the title – well it seems that the activities of herds of browsing animals on the land can assist in improving the health of the soil (so it can absorb/take up more carbon dioxide) – and interestingly if the method as developed by Allan Savory (at www.savoryinstitute.com) is used, then more animals can be supported on a given acreage of land, and it continues to improve. Thus Cows (or other browsing animals) helping to save the planet! For more tips and links on food and farming see our section on Sustainable Living. Can Dorset follow South Korea’s lead & have roads that wirelessly recharge electric buses?! In the field of electrically powered transport innovations are coming thick and fast – unlike the vehicles themselves (in the UK at least) which are still almost as rare as the proverbial “hen’s teeth”. So it is that another new and innovative idea has been put into practice in a small showcase demo in South Korea – where they have switched on a road which can recharge electric vehicles as they drive over it! More details at www.bbc.co.uk/news/technology-23603751. It is of course very early days with that particular project – and of course the nay sayers are already predicting it’s infeasibility due to cost and so forth. But what it does show is that all over the world people, companies, universities and so on, are trying to find solutions for the generally expected moment when the oil flow can no longer match the demand (leading to ever higher prices, etc). The system being demonstrated in South Korea uses inductive coils embedded in the road to provide charge for electric vehicles travelling above (the inductive transmission method has been known about for a long time. Basically it is a simple idea – a primary coil sits passively under the road, when it detects a similar coil – in a vehicle above which has been fitted with one – a powerful alternating current is set up in the primary coil, this creates a strong magnetic field which stimulates a current in the coil in the vehicle and energy is transferred, without wires). The major difference with the South Korean system to others under trial elsewhere is that the coils run continuously along the length of the road (thus the cost) rather than being located at occasional and particular points. In Germany (for instance) in the city of Braunschweig a system is being tested using 3 induction loop charging points on an 8 mile circuit (one bus route). The system is being developed and tested by a partnership of the local bus company, the city, the Technical University of Braunschweig and Bombardier Transportation. 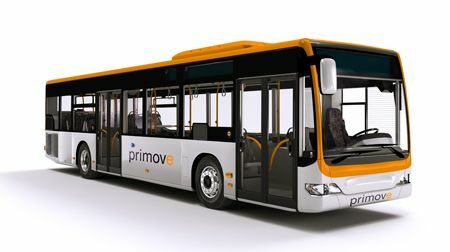 The Bombardier developed system being trialled uses their PRIMOVE inductive charging system, which itself is being developed further by replacing some batteries with high density capacitors in a system called MITRAC. The advantage of capacitors is that being electrical (rather than chemical like batteries) they can withstand tens or hundreds of thousands of charge cycles, they also weigh much less than batteries and although they cannot (yet) store as much energy as batteries do this (disadvantage) is obviated when there are inductive loop charging points available on a route. Could Dorchester’s Electric Bus Route wirelessly charge electric buses? Perhaps inductive loop charging may be the (or a) coming thing? We shall see. Neil and Judith Forsyth writing in AtoB Magazine June 2013 (Issue 96) – www.atob.org.uk/store – about inductive loop systems (and to whom I am obliged for many of the references here about Bombardiers systems and so forth), suggest in their article that the Poundbury electric bus route could perhaps utilise an inductive loop charge point, perhaps at its railway station end? The route currently requiring two buses (as one is re-charging at the depot while the other is in use) could manage with one, charging at a point in the route, leaving the other bus for a further route. 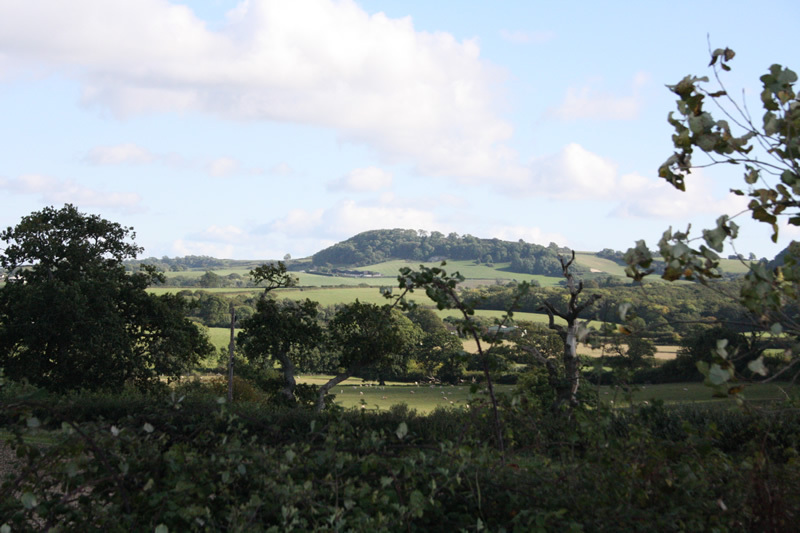 That would make Dorchester (and Dorset) even more leading edge (in the UK context) than it already is. Prince Charles himself was one of those who sought to have electric buses used to serve Poundbury – maybe he might take an interest in this further development of the inductive loop? Why were the roads we have now originally made smooth, with a surface suitable for wheeled vehicles, or in some cases even built at all? This is a question explored in a new book (see the video above) to be published in August (and available for free download on kindle and as a .pdf). The book, “Roads were not built for cars” by Carlton Reed – http://www.kickstarter.com/projects/carltonreid/roads-were-not-built-for-cars-book-and-kindle-and, explores the early history of road building and improving in the UK and the USA – particularly looking at the period from 1880 to 1905, the golden age of the bicycle some would say. During this time the cycling lobby campaigned for better roads for cycling and the lobby was of such strength, with so many people cycling for work and leisure, that the existing roads were brought up to scratch and new ones built. This it seems is a forgotten part of history and although the Automobile Association grew out of a sub group of the Cyclists Touring Club, the part cyclists played in ensuring roads were suitable for cars when they started appearing in numbers is generally overlooked (and until I came across this book on Kickstarter, was completely unknown to me). So for all of us who use the roads – perhaps it’s worth bearing in mind how much we owe to those early cyclists for bringing many of them them to us. And for a more in depth understanding of how it all happened have a look out for the book when it comes out. Read about the benefits of cycling under the ‘Travel’ tab on our Sustainable Living page at: www.letsgetenergized.co.uk/energy/sustainable-living. Another great idea this Green Transport Week 2013?! Not sure it’s quite my thing or within the reach of my bank balance, but the inventors have been busy and a new form of combined transport has appeared on the horizon, or rather, above it! The Paravelo launched on Kickstarter promises to give you affordable flying on (believe it or not) a bicycle. It sure looks interesting and seems quite a practical proposition if you have a head for heights. Perhaps one day we’ll see these in the air above Dorset – perhaps visitors bringing tourist pounds to the county on their ‘Flamping’ (flying and camping – the Paravelo incorporates a tent as well) holidays. 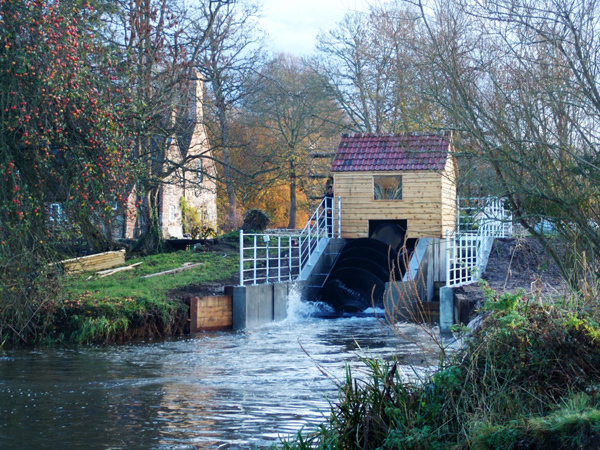 So, the Paravelo, as versatile as Chitty Chitty Bang Bang – and cheaper to run! This week is Green Transport Week 2013 (14th -23rd June) and so far it’s got to be said that Electric Bicycles are only a very small part of the bicycle market – only 25,000 were sold in the UK last year, which represents just 1% of all bicycles sold. 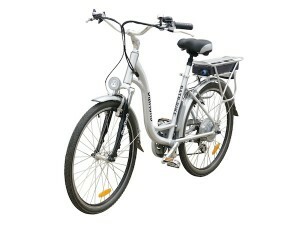 But conceivably a new entry into the eBike market might begin to change the picture. 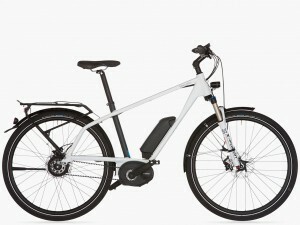 Smart, the subsidiary of Mercedes and famed for their small cars, have just brought out an Electric Bicycle of their own – the Smart Electric Bike. The new Smart Electric Bike is clearly aimed at those looking to find a new way to manage the practical task of commuting and of course doing so in style. Thus the Smart Electric Bike not only looks slick, but also seeks to deliver the rider to work effortlessly and indeed cleanly, being equipped with an oil free belt drive, instead of the usual oily chain. It uses the well established BionX motor which is well known for it’s silent and powerful operation – plus it can return some charge to the battery using regenerative braking. Range on a fully charged battery is claimed to be 70 miles which of course depends on terrain and the amount of pedalling effort the rider puts in, but with the comparatively large 423kwh battery 30+ miles without needing to recharge is clearly a possibility – and being a bike that just needs a plug point, recharging at work or home is easy, and indeed cheap. Of course this is not the cheapest eBike on the market (although a very attractive Hire Purchase arrangement is available @ £59 pcm for 36 months) – but it is clearly the result of a very considered design process and carrying as it does the Smart (and thus Mercedes) name it might get more people into the joys (and practical advantages) of electric cycling. What happens if you try to create a car using the same principles many of us apply when buying food and other goods – principles such as: the nearer it’s produced the better, the more environmentally friendly it is the better, the more recyclable it is the better, the less energy it consumes in use and in its production the better, and of course the more affordable the better and even if being a bit greedy, the more visually appealing the better? Well such principles and more are being used during the design of the Urbee car – it could be a next step in environmentally friendly transport and where possible using the energy you can produce at home.